Calling all hair aficionados. Last month, Hair: A Human History arrived on bookstore shelves. The book covers hair science, hair history, and anthropological and cultural perspectives on hair fiber. Specifically, but not limited to, human hair. The importance of wool and fur to humans are also investigated. 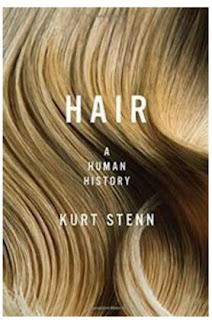 Author Kurt Stenn comes to his fascination with hair honestly, via a life-long career in dermatology and skin biology. And apparently, via a life-long assemblage of hair facts and trivia. Not only do we learn about hair economics, wig-making and fashion. Stenn also delves into the circus act where women hang by their hair, into the source of the belief that red hair is of the devil (Judas Iscariot is believed to have had red hair), and how a single strand of Che Guevara's hair sold for $119,500 in 2007. 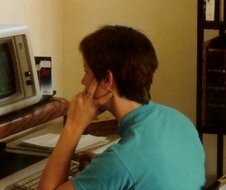 A must-read for this blogger, not only due to an obvious fascination with the topic. I also welcome Hair: A Human History as a kind of validation. There's someone else in this world, I'm pleased to discover, who gazes at sculptures of Julius Caesar and thinks, oh my god, that's a comb-over.